Retail stores are hiring less and closing more. In 2017, retail sales dropped so much that many people called it the “Retail Apocalypse”. But have we really arrived at the death of retail? The American retail market is bloated, there are too many stores and brands for modern demand. Many brands will go away, but those that survive will be stronger than ever. 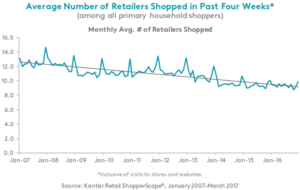 Retail isn’t dying, it’s just losing weight. America built too many stores. For every person in the United States, there is 23.6 square feet of retail space. This is ridiculously large when compared to other countries. In the UK, there are only 4.6 sq feet per capita. This is partially due to U.S. citizens having a larger appetite for shopping, but also due to overreactions to positive trends. America simply has more stores than it can reasonably support. It stands to reason that as time passes, the system will self correct, and many of these stores will close. Physical stores still make up the larger percentage of sales, and offline success still has a huge impact on the bottom line. However, online sales are on the rise, and will only continue to grow over the coming years. As more sales move online, there will be less demand for brick and mortar sales points. Internet commerce also makes it easier for consumers to shop from brands which aren’t near them, lessening the importance of location. People are considering less brands. 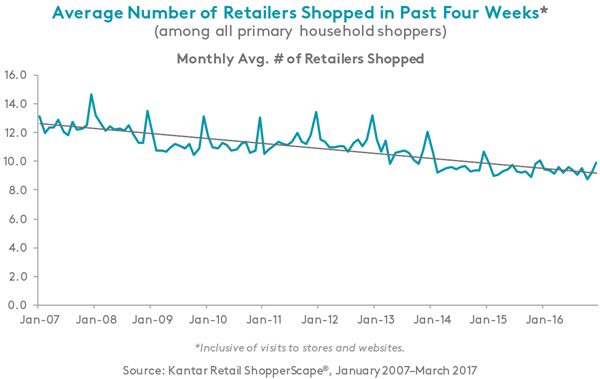 According to a 2017 study, there is a stark decline over the last decade in the number of retailers at which people shop, including online shopping. The consideration set is getting smaller. This may be because consumers are more able than ever to shop with their favorite brands and not settle for substitutes, or perhaps considering fewer brands is a reaction to the plethora of options. Whatever the reason, it is increasingly more likely that your potential customers aren’t even considering your stores when deciding where to shop. The brands which consistently fall out of the running with individuals, will eventually fail large scale. The best brands sell more than stuff. Nike sells tennis shoes, but they really sell the idea that everyone can be an athlete. People don’t become fans of a brand because it has cheap prices, they’ll leave once there is something cheaper. They don’t love a brand because it’s located near their house. When people commit to a brand long term, it’s because they identify with what the brand stands for. As retails shrinks, the surviving brands will be the ones that have made this vital emotional connection. If you haven’t heard yet, there’s this new thing called the internet. You’re probably on it now, and your brand should be too. A functional website, a respectable social media presence, and refined search engine optimization are absolute minimums for modern brands. But doing the minimum isn’t enough to survive in a competitive market. As more consumers look to make online purchases, it’s increasingly more important that your brand has easy and accessible online shopping available, for mobile devices as well as desktops. The experience economy extends to retail too. People don’t want to just go inside, buy something, and leave. Millennials and Pivotals view shopping as an activity, and like to go with friends. They want their shopping experience to be something worth remembering, not just an errand. Ikea has had success elevating their shopping experience with their in-store restaurants. A trip to buy a cabinet suddenly becomes something to look forward to when meatballs are involved. Nike Soho is testing a new store complete with a basketball court, mini soccer field, and virtual treadmill. 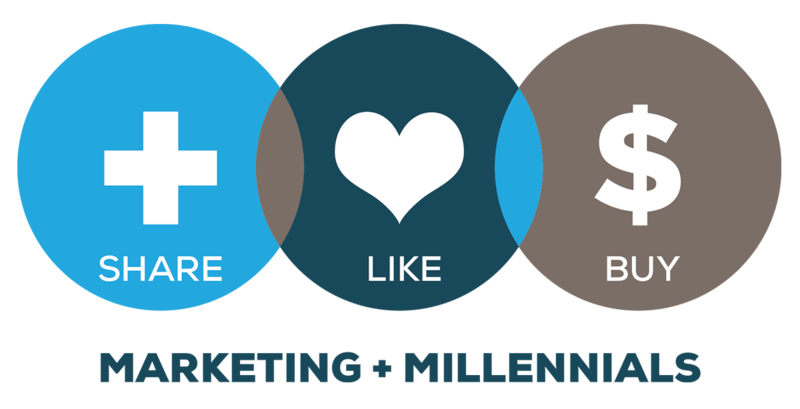 They want customers to interact with the brand, even if the interaction doesn’t immediately convert into a purchase. Find a way for your brand’s retail experience to become something worth doing, and customers will keep coming. As long as people want to buy stuff, physical stores will be around to sell it to them. But no individual brand, even yours, is guaranteed to last. Retail is changing, just like everything else in the digital age. The brands that evolve, and continue to evolve, will last. The brands that don’t, won’t. Adapt your brand to the realities of a leaner retail market, and you can succeed through these transformative times.